Where Elvis says - Hazard on the Road Ahead, Baby! | Happenings, Marketing and Technology Advice and Thoughts! Where Elvis says - Hazard on the Road Ahead, Baby! Your drive is never boring if you use the navigation app Waze that is owned by Google ( Both iOS and Android). Waze has some amazing features, including rerouting you in case of traffic build up ahead and using user generated reports to warn you of hazards on the road. A not so well known feature in Waze is choosing the tone of the GPS voice. A week ago I chose "Boy Band" and it was hilarious and this week I chose Elvis and I smiled every time Elvis said " Hazard on the Road Ahead, Baby! " "Well, besides being very, very specific in your GPS needs, you’re also in luck: buff Brooklyn Nine-Nine actor Terry Crews has lent his voice to the Waze app, meaning now you too can get directions from Sgt. Terrence Jeffords." 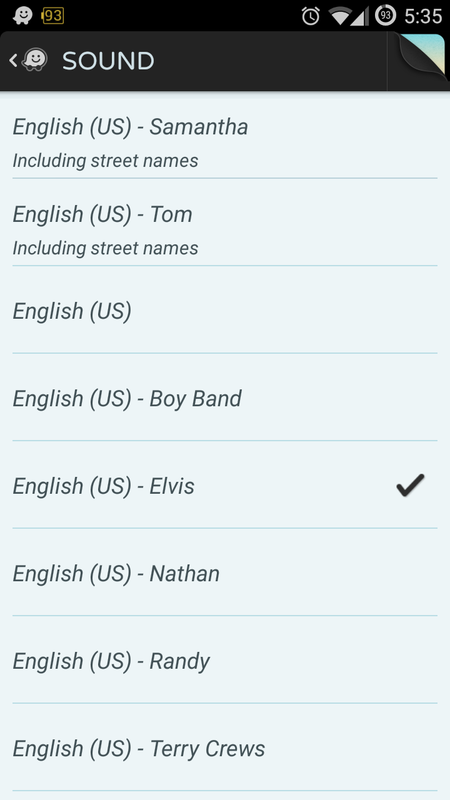 I am sticking to Elvis for a few days and then cannot wait to see what Waze offers next as a GPS Voice.